This blog has generated an enormous amount of content on equine law, and is increasingly sharing more about horse businesses and horse lifestyle issues affecting you and the equestrian community as a whole. Your support as readers has been incredible- and has inspired me to keep creating free original content so that you have a place to go when you're looking for answers about your boarding agreement, want to learn more about horse contracts or lawsuits, want to grow your online or physical horse business, or are just a naturally inquisitive person who happens to enjoy horses. 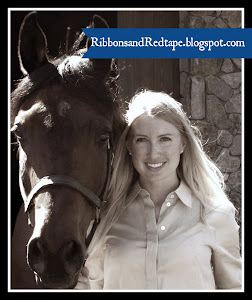 I write for YOU, so thank you for being here and a part of the Ribbons and Red Tape community. I am still ticking away at my New Year Resolutions (if you read in Feedly or other blog reader or via email, make sure you visit the blog to see my new blog design! 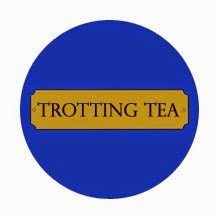 ), and because a pivotal aspect of my Resolution is to be of better service to the horse community, I am transitioning my Facebook page from a strictly legal page to a page name that reflects the content that is posted. While I post a lot on this blog, over on Facebook (and Twitter!) I also post about horse shows I go to, other equine law blog posts, horse non-profits and businesses that are excelling in what they do, horse slaughter updates, and more. So I would love for you to help me in the name transition and come "like" the Facebook page if you haven't done so already. If you're more of an e-mail person, you may have noticed the box on the upper right side of the blog that allows you to sign up for the free list that has exclusive information, education, and offers. If you have already signed up before, no need to do so again. It isn't spammy and you can quickly unsubscribe if you no longer want to receive the emails. Here is to galloping into March with inquisitive minds and unrelenting perseverance. Someone took my photo from my blog and is sharing it all over Facebook/ Pinterest without my permission! Many bloggers use their blog platform as a personal journal to share with the horse community as a whole, but feel a very personal connection to their photos. Other bloggers sell their photos and feel a violation of their rights when the photo is circulated without any prior request. On the other hand, a great photo can in fact draw enormous traffic to your site. If you wish to gain more followers or page views, a photo that goes viral is the best free advertising you could do for your site. To play devil's advocate, wouldn't I be doing you a favor to share your content on my blog if I post a link to your blog as the source? Do I really have to seek permission first? Plus, there are exceptions to copyright law, such as fair use (in general, using only a small part of a whole, such as a one sentence quote from an entire book), public domain (a copyright lasts for the creator's life plus 70 years), or new creation. 1. 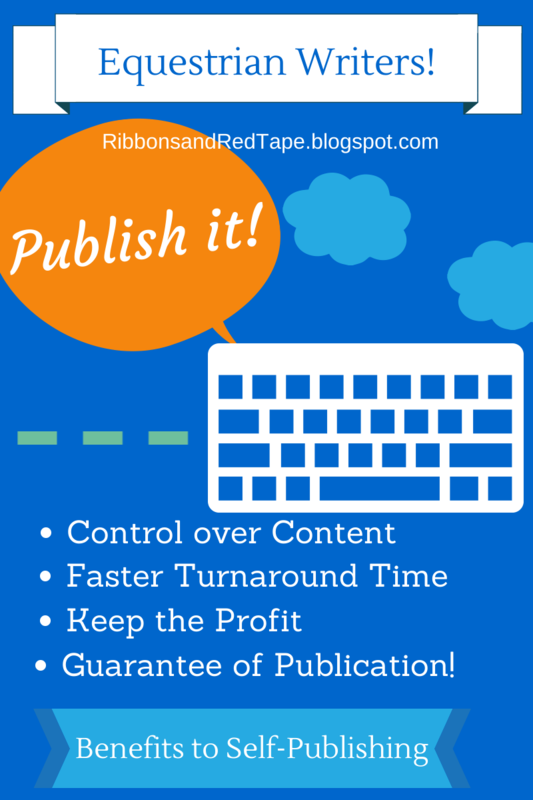 Including a copyright policy on your blog. Sometimes "(c) 2014" at the bottom of your site can be sufficient, but I would recommend a page or sidebar note that highlights your specific rules, and how someone can contact you to use your images. Do as much as possible to help other bloggers figure out how they CAN use your photos. For example, one blogger's policy says, "these are my copyrighted photos unless otherwise noted; if you wish to use them on your blog please include immediately below the photo the following sentence 'this photo is the property of [blog or blog owner] and can be found at the following link [website].'" And then the blogger wants you to email her that you have so attributed her work. I personally like this method because a blogger doesn't have to wait for a reply time before using the image, but the owner of the image both 1. receives traffic to her site from the link and 2. is notified of use, and reserves the right to request the removal of the image from the user's site. 2. Watermark your images. While this doesn't prevent them from being taken from your site, it at least can establish ownership of the photo and, if it is something you desire, re-direct traffic back to your site. 3. Lock the images onto your blog so that they cannot be dragged and dropped onto someone's computer. There are various online tools that will help you do this. This doesn't prevent someone from taking a screen shot of the image, but it can affect the quality of the photo that someone is taking. 4. Compress the files so that the quality deteriorates if the photo is taken from your blog. Run an online search for the tools that can help you do this. 1. There may be restrictions against your derivative use of the work. You can certainly ask a lawyer knowledgable in the copyright world about your right to use particular material. In general, when a derivative work is created, you own the copyright to ONLY the original part of the new work. For example, if you write a "#237 Why I Love Horses" joke on top of someone's blog picture, you own the copyright only to your joke, but not to the picture, and may need a license to create and publish the derivative work in the first place. Putting your blog address on top of someone else's photo, even if you create text on top of the photo, does not put you in safe copyright waters. 2. Ask the owner! I frequently ask if I can use a photo or for a blogger's policy on image use. It's so much easier if the blogger provides an e-mail address for such questions, as opposed to leaving a blog comment, and trying to track down the response to that comment- or for the blogger not to miss the comment altogether. 3. If you cannot find the owner of the image, it can be a tough call. If an image of a beautiful horse galloping in the snow has been re-pinned 600 times, the copyright isn't diluted, nor is there necessarily implied permissions of use- the owner of the photo may not know the photo is going viral. Pinterest is a strange animal in and of itself: the site thrives on "re-pinning" and it is generally considered a positive if your images are re-pinned frequently. Some lawyers have chosen not to have a Pinterest account due to the murkiness, or blatant violation, of copyright laws. You can read a lot of articles online on the topic, and I don't have a clear answer for you on this one. In general, I think treating other people's images in good faith, respectfully, and attempting to contact the owner prior to use is a safe path when you want to use a photo, particularly if you include in your copyright policy that you make every effort to ascertain the owner of the photo, and if someone finds their work not appropriately attributed on your site, you are happy to immediately remedy the situation by A) Removing the photo upon request or B) Providing appropriate sourcing information. Some people will disagree with me, and I can understand that. The most conservative route is that if you don't have express rights to use an image, don't use it at all. But it is the Internet, and I think we need to be flexible and adapt. If you never want the risk of your photo being shared online, I suggest never putting it in a format that can be published online, and if you sell your photos in electronic or physical copies, having very strict contracts about prohibitions on sharing and including a clear and aggressive remedy for any breach of the contract. If you never want to risk facing claims of copyright violation, always use the conservative route. The law and legislature is a slow-moving beast, and I am often frustrated with how archaic the laws are in relation to the speed of innovation on the Internet, or when lawmakers try to apply laws to a medium that was never even contemplated when the law was written. The Internet has been called the new frontier (or the Wild West!) when it comes to some legal issues, and we just have to navigate the best we can with the knowledge and laws we currently have. Personally, I think using a public platform such as a blog invites sharing, and I think that is a true beauty of the online horse community, we can re-tweet, share, re-post, link, and more to content we like and want to help promote. This is typically appreciated. We should all be careful, however, not to infringe on the copyright that does exist for other bloggers. Clearly bad faith is utterly reprehensible: taking someone's exact content and pictures and putting it on your own blog as your own original content is completely wrong, and a blogger would rightly feel violated if this is done to him or her. I think this can be a tough topic with some major grey zones; have you been on one or the other side of the copyright fence? Do you think that equestrian bloggers are a disrespectful or ignorant bunch of folk when it comes to taking liberties in sharing George Morris or Equestrian Ryan Gosling memes or pretty horse pictures? P.S. One of the most fascinating recent copyright cases to me is the 2008 Obama Hope poster, which become hugely iconic of his campaign. Well, the creator of the poster used a photographer's photograph, used without permission. I apologize in advance for citing to Wikipedia, but the section "Origin and Copyright Issues" gives a great overview if you are so inclined to read about the drama behind the poster! In the midst of other political issues, the roar over slaughterhouses and what to do with unwanted horses or wild horses has been dampened, but the issues are still relevant and important nonetheless. Today I am so happy to have a guest post by Caroline Betts and Dr. Laure Ross, DVM of Southern California Thoroughbred Rescue to share how to purchase a slaughter-bound horse from auction, which as you will soon see, is not for the naive or faint of heart. 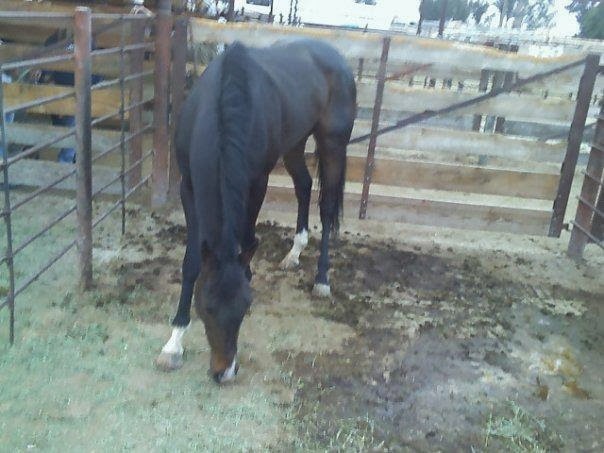 A photo of TB "Louis" at Auction the day he was rescued. Can you commit the financial and physical resources, and do you have sufficient horse experience, to provide feed, veterinary, and farrier care, exercise and training for a horse whose health conditions and temperament are entirely unknown to you at the time of purchase? Will you provide lifetime care for this horse if you can never find an alternative good home for it? 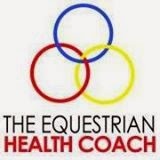 Are you emotionally and financially prepared to rescue a horse which may require immediate humane euthanasia by a veterinarian? Every week, horse auctions occur across the United States and Canada through which hundreds of equines may pass in a single sale session. Auctions provide convenient, centralized outlets in which “kill-buyers” can accumulate in a few hours large numbers of low priced horses for the purpose of shipping them to slaughter. However, not every horse auction serves this purpose, intentionally or otherwise, and not every horse at auction is slaughter-bound. Some auctions set minimum bid limits to deter the purchase of horses for slaughter. And at any auction, consignors can set reserve prices to protect their horse from selling for slaughter price. Research your local auctions. Some have websites. Contact several reputable, organized equine rescues in your area ahead of any sale you plan to attend and ask them what the market served by that auction house is. Ask them who the bidders are that you legitimately compete with for a slaughter-bound animal. And ask them what price you can expect to pay in your local market competitively bidding for an otherwise slaughter-bound equine. You have several hundred dollars in cash in your pocket, as well as a card accepted by the auction house and your I.D. You have a facility lined up ready to accept your horse, one at which the horse can be quarantined (effectively segregated from all other horses) since it has likely been exposed to illness or disease on the auction lot and its vaccination history is unknown. 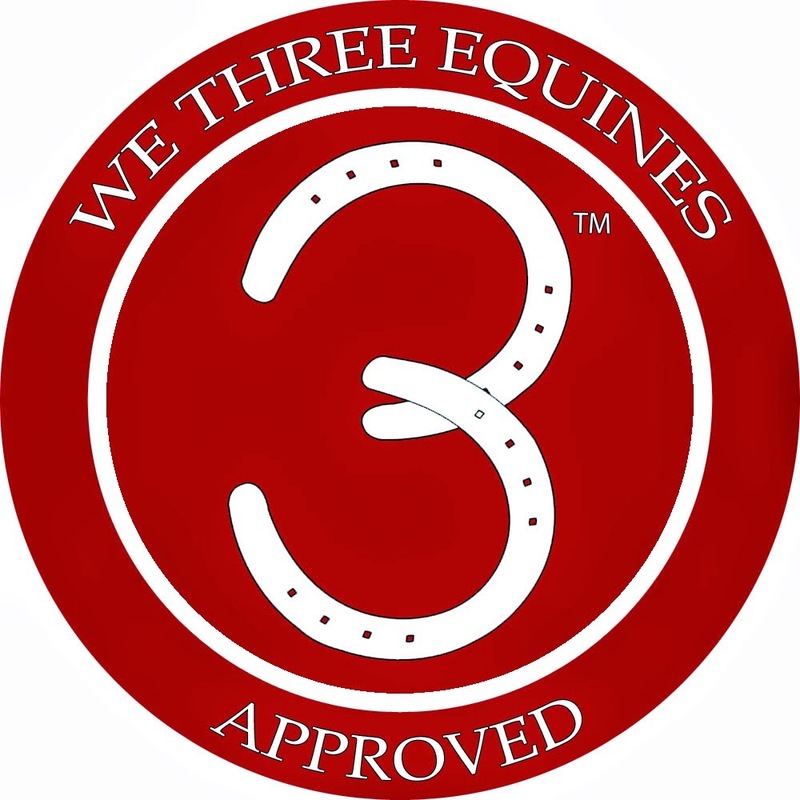 You may even have arranged a vet appointment to assess your auction horse within a day or two. And you definitely have your well maintained truck and trailer, your truck filled with gasoline - or that of a reliable friend - ready to transport your horse home from the auction lot in a timely manner. Some auction houses allow you to leave your horse overnight. Some don’t. Be prepared. There are no radiographs or ultrasound records or devices on a low end horse auction lot. Arrive several hours ahead of the start time of the auction to examine the horses. And before you begin, purchase your bidding card from the sales office which you need to be able to bid during the auction and which usually requires a cash deposit and your I.D. Auctions are chaotic with sometimes several hundred people gathered into benches and standing rows deep around the auction ring. Bidding usually takes 2-3 minutes per horse - it's very fast. 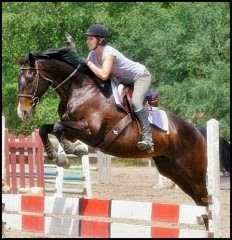 The horses may not come through in “hip” number order, and many times the papers and the hip numbers are mixed up. You must know your horse’s hip number, be ready at all times, and be seated or standing where the auctioneer and/or “spotters” can clearly see you bidding. Bid by raising your hand and calling out your bid if need be to attract the auctioneer’s attention. The auctioneer may briefly look at you to acknowledge your bid. You have seconds in a very crowded room to figure out who is bidding against you. Again, contacting a local reputable rescue ahead of time to establish identities of local kill buyers and a practice or protocol for bidding against them is highly recommended. If a horse you planned to rescue sells to a kill buyer, you may have a brief window of time in which to retrieve it (repurchase it at a higher price than it sold to him/her for) but this probably requires the advice or intermediation of a local person or rescue familiar with the buyer. No horse in this situation is safe until it is on your trailer. "Louis" after he was rehabbed by SCTR and adopted by his new owner. Please remember that you are a customer of a legitimate business when at a horse auction, and a guest on someone else’s private property. The corollary – behave as you would at any other local business that you wish to frequent! An alternative way to rescue a horse from slaughter is to ADOPT a fully rehabilitated and possibly even re-trained horse from an equine rescue. Adoptions free up the space and financial resources required for an equine rescue to take in an additional slaughter-bound horse. I attended the local bar association lunch last week and the presentation was by an attorney on Indian Law (Native American law). After the presentation he sat at my table and another attorney introduced me by saying in part that I practice in the niche of "horse law." "Horse Law?" he said, "huh, so how do you get into that?" I said, "well, I'm an equestrian and, as much as possible, I believe you should try to do what you love in life." I was a bit surprised by his question. He practices Indian law because he is an Alaskan Indian, and I practice equine law because I'm an equestrian. But I can understand the broader implication apart from these small niches, because clearly, not all elder abuse attorneys practice in that field because they are elderly; construction law attorneys aren't necessarily contractors or architects. 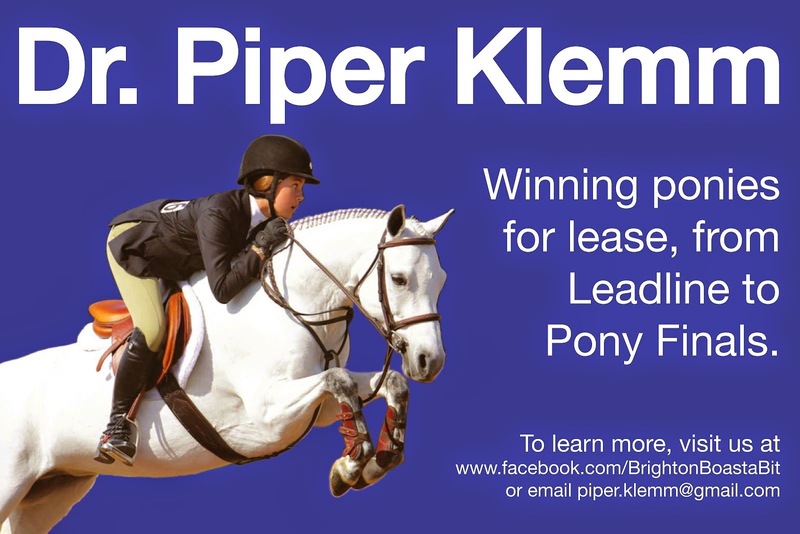 Do you ride or own horses, and if not, how did you end up practicing equine law? Have you had a case like mine before? What estimated costs should I expect and budget for? What is the procedural process from here? Such as timeline and what we do next? What is your recommendation or advice of how I should proceed? 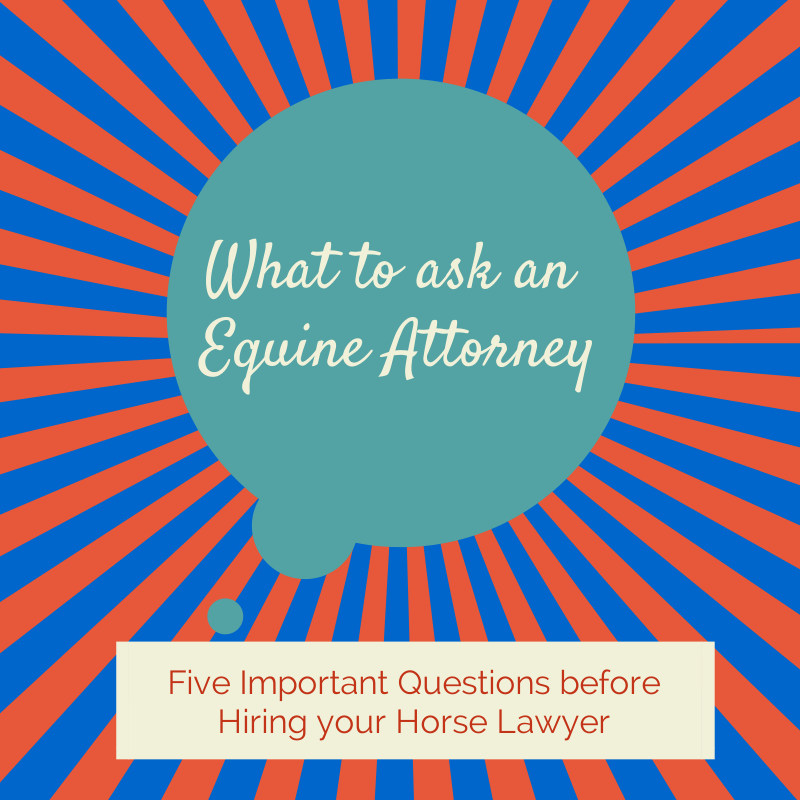 All of these questions should be answered paying mind to the context of the horse community you are in, such as how your case will impact your trainer, your vet, your barn mates, your horse, etc. I responded, "well, if a client came to me and said they are having an issue with a thoroughpin in the right hock potentially interfering with the collateral ligaments of the tarsi-crural joint and its impact on a proposed lease agreement for their Hanoverian's suitability for the meter ten, I wouldn't have to spend time researching what the client is talking about because that is just part of my knowledge base." He admitted he would have to bill for his time researching the issue to be able to handle the case, though he would still be competent to handle the general business or litigation aspects of the case. I don't want this post to sound like an advertisement- the important message I want this post to convey to readers and to the horse community is that hiring someone who knows and loves the area of law helps save you time, which also means saving you money, and it makes the conversations flow naturally when the lawyer doesn't punctuate the conversation with, "wait, what is a Hanoverian?" When you're uncertain or anxious about legal issues, it reduces stress when you can feel comfortable on the phone with your lawyer - and you may even have fun in your meetings as you chat about the latest Thermal results.